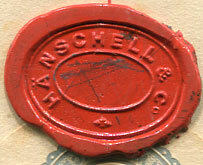 1935 reg. 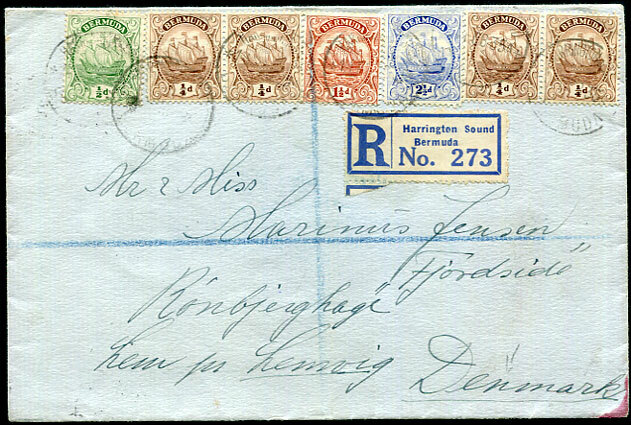 cover from Castle Harbour Hotel, Tucker's Town (printed flap which opens to display) to Denmark with 4-colour combination Ship issues ¼d x two pairs, ½d, 1½d, 2½d indistinctly pmk'd HARRINGTON SOUND 14 FEB 35 with Plymouth, Devon reg. 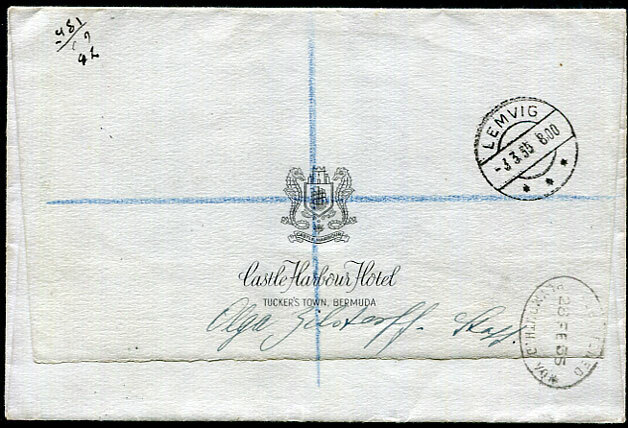 oval transit and LEMVIG arrival backstamps. 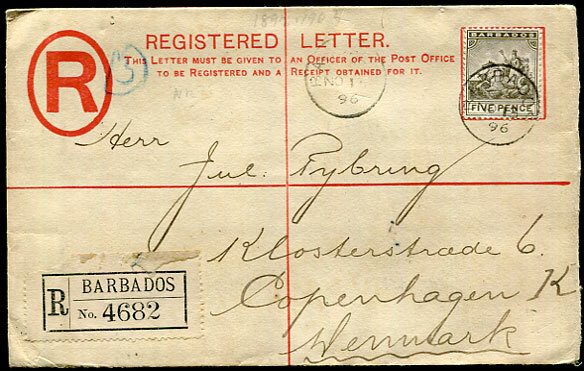 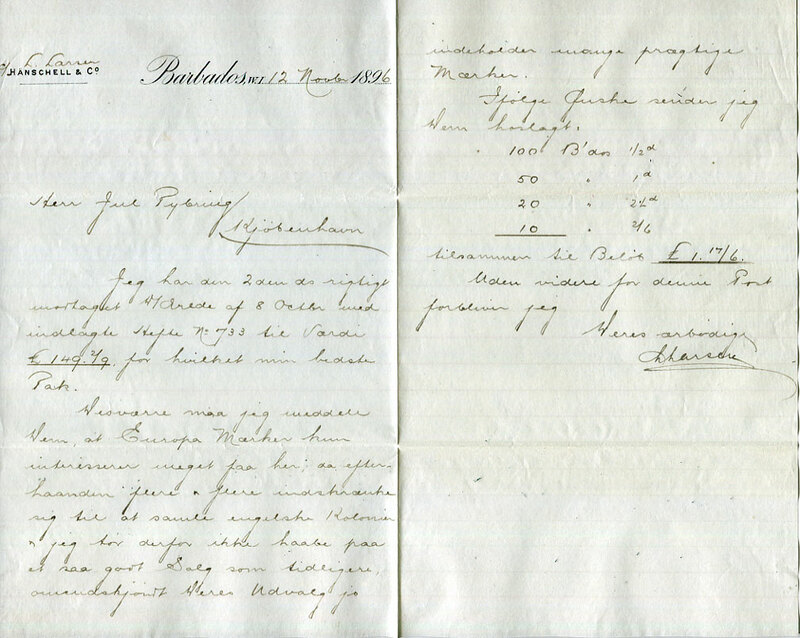 1896 use of QV 2d PSRE with added 5d Seal (SG.110) pmk'd NO 13 96 to Copenhagen, Denmark (NO 27), original letter enclosed and reverse sealed by sender's wax seal. 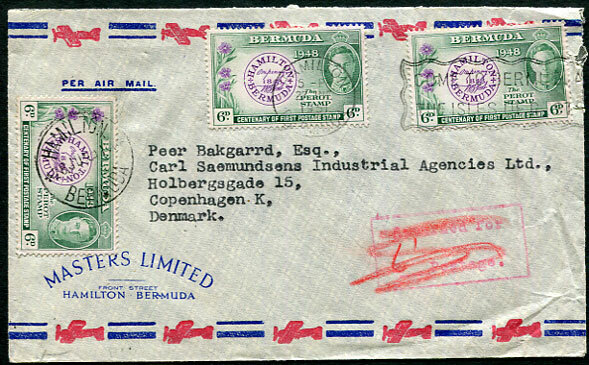 1951 (JU 27) underpaid cover to Copenhagen with KG6 6d x 2 tied Hamilton machine, boxed red "Returned for/Postage" appended "6" deleted as further KG6 6d added and tied Hamilton 28 JUN 51 cds, no backstamps. 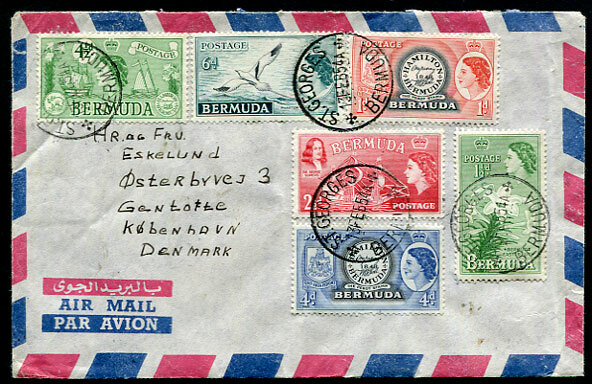 1954 (FE 13) cover with QE2 franking pmk'd St. Georges to Copenhagen, Denmark, no backstamps.